So to start off let me ask you a question. Do you have your rice? I don’t know about you, but rice is one of my “must have” staples in my home. It is a part of the 350 pounds of grains I have per person for a year’s supply. I especially love the heartiness which my brown rice affords me. But there are some rough roads ahead in this regard due to the flooding which is going on in our heartland area. I suspect that many of you assume that our rice was imported from Asian countries. But actually 50% of our nation’s rice production comes from Arkansas—home to a lot of Mother Nature hits lately. Earthquake, flooding, extreme temperatures, etc.—our rice supply from AR can now be completely written off. Louisiana grows about 14% of the nation’s rice presently and California grows about 20%. The rest comes from other states such as Mississippi as well as imports. As a result of the harsh weather conditions that our heartland has endured over the last several years, the pinch on the availability of rice is about to be felt by everyone. I’m not just talking about the increase in the price, I’m talking about the fact that we can expect to see a decreasing supply. As such, I’ve been focusing on getting my years supply over the last year, but more intensely over the last couple of months. While purchasing and stocking up on rice and other grains is a good idea under the present circumstances, in the name of self-reliance I’ve decided to take things a step further. I’ve decided that I want to be able to grow it as well, if necessary. Growing rice does require a great deal of water, so I may very well not be able to actually grow it under dire circumstances. Under normal circumstances it might not be realistic to grow a sufficient amount in my back yard here at my home. But for me, the whole purpose of preparedness is to anticipate potential problems and try to come up with a solution—at least the best solution we can with our present circumstances and knowledge. So, I decided to go for it. The truth is, rice is actually very forgiving. It’s certainly not a temperamental or delicate plant. It’s not picky about the kind of soil it grows in and it thrives in warmer temperatures, but I also witnessed bountiful rice fields in the mountains of the Philippines where it’s regularly cool weather. It’s relatively foolproof to grow which is why it’s grown and used so abundantly in third world nations. Having helped in those rice fields, I can tell you that the soil used in these nations receives very little nutrients or coddling; and yet the rice continues to grow. So in addition to stocking up on rice now—in order to stabilize your food budget and protect it from the soon-to-come skyrocketing prices—I would also have a “just in case bucket” with the appropriate supplies and informational resources for growing your own. After making this decision, I decided to do a little more research on the ability to grown other grains such as quinoa, amaranth, wheat, and oats, barley, and rye. 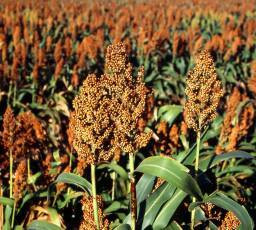 I have been particularly intrigued with sorghum grain (also seen as grain sorghum) which is a grain that’s actually easier to thresh than some of the other grains and makes absolutely heavenly fluffy breads and pastries. 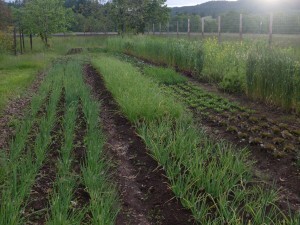 I was pleased to see that there are many homesteaders all over the U.S. who are successfully growing their own grains. Another bonus is that thanks to today’s technical advances, grinding your own grains is relatively easy, regardless of what kind of grain you’re grinding. Rice flour, wheat flour, sorghum flour—it’s all the same in my book. If you don’t want to hassle with the grinding, you can always enjoy the grains whole in cereals, as an addition to bread dough or a topping for breads and rolls, or—as I’ve newly become a fan of—as a “popped grain” much like popped corn. (I’ve been munching on popped wheat for nearly two weeks now and love it.) You can season these “popped grains with regular or seasoned salt for a savory snack or you can use cinnamon and sugar for a sweet treat. Of course I can’t forget to mention sprouting the grains as you can do with any whole grain, and thus compound the nutritional value several times over. 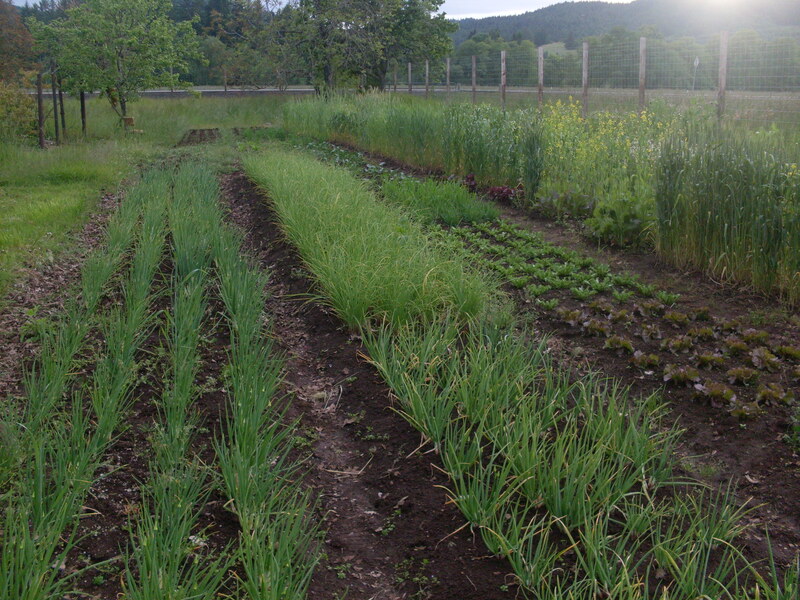 Though I haven’t grown any wheat or oats just yet, I have been encouraged to discover that the majority of the grains are also very forgiving to the mistakes that non-expert gardeners might make. Other than keeping the bugs and blight away, there’s not much that one has to do to successfully grow them. Don’t ya just love it?! Mind you, most gardening spaces won’t grow enough grain for an entire family of 4 for a whole year, but I look at it from another angle. If I can grow my own grains and preserve them properly, then I can gradually add these grains to my supplies with the peace of mind in knowing that they are the freshest I could possibly buy on the market and that they are free from many of the toxins and chemicals that are so abundant in the marketplace today. Let’s not forget that pioneers avoided starvation in the midst of brutal winter in the mountains by living solely off of corn. Mind you, appetite fatigue is bound to set in under those circumstances, but it’s better than the alternative, right? Even better, when I grow my own grains, I’ll know that I’m consuming GMO-free food and that all of the wonderful nutrition is fully intact! There are also a great number of by-products that can be enjoyed when growing your own grains such as hay; which can be used to feed animals or to insulate; or the by-products can be used in weaving to make either rope or much needed containers. Cane sorghum actually makes a delightful syrup! There are many more uses of the by-products which I could mention, but I think you get the picture. When I think of all of the possibilities in taking this step of self-reliance, I’m almost giddy at the realization that I have more control over my well-being than I realize. It is actually this rationale which causes me to continue to believe that there really is peace in preparedness. 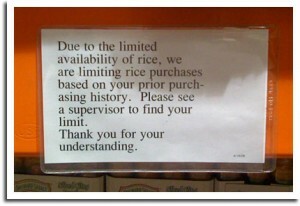 Now, stop reading this and go get your rice and other grains before you end up paying 4 times as much for them. They grow a lot of rice here in Texas(down by the coast) and also the mud bugs in with it sometimes..love them mudbugs(crawdads)..yummy. On an all corn diet a person should add lime (as in pickling lime) to corn recipes in order to prevent getting pellegra or else should use a nicain supplement. If using a nicain supplement either use niacinamide or a non flushing kind of nicacin as plain nican can cause an uncomfortable flushing sensation. If one does not mind the flushing though, plain niacin is supposed to help naturally lower cholesterol perhaps by preventing a problem that the body sends cholesterol to correct. Actually, lowering cholesterol is BAD for you. The whole cholesterol garbage is put out there by overinflated egos, and the greedy men of the pharmaceutical industries who are putting out there the so-called merits of lowering cholesterol. Your brain is the most cholesterol-rich organ in your body. If you lower your cholesterol you lower your brain function. Cholesterol has nothing to do with heart disease other than it sets in the arteries in the event of heart disease in order to protect the body from the plaque that's being developed in the arteries as a result of rancid fats and other toxins we consume. Trying to villify cholesterol is like saying that firemen cause all fires because they always show up in the event of one. BTW, wikipedia is nothing but a collection of information written by lay people. I certainly would not rely on it for my lifesaving doctrines. However, in order to eliminate permanent physical compromise, it's not advised that anyone consume a diet solely based on corn. Clearly the pioneers did so in order to avoid death. My quinoa didn't sprout - will try again next week. My spawn LOVES it, my husband tolerates it. Rice is one of our absolute favorite grains, so I have stored a lot of it. But buckwheat and barley are the grains, other than quinoa, that I'm most interested in growing. They are on my list for next year! I guess I need to get out and get some more rice! Thanks again for giving me more to think about! I have plenty of rice stored, but had to buy a bag of California rice while out there recently. It was really nice to get some of that rice. Glad to see I'm not the only one concerned with GMO grains! I have been purchasing organic, non gmo grains for my food storage and some of my friends think I'm crazy to spend more than conventionally grown grains. Its really not that big a price difference and considering the long term effects of GMO foods, well worth it to me to protect my children's development and health. As I stated in the article, grains are easily grown in nearly every are of the U.S. so unless you live in the north or south pole, you should still be able to grow your own simply by working with the seasons you've got. NTMoMo and others, please don't confuse organic with non-GMO. Just because a product is labelled organic, does not guarantee that it's non-GMO as well. It's getting harder and harder to find non-GMO anything, especially corn. Amen. The USDA allows 21 different chemicals to be used on "Organic Certified" foods. Please remember that "they" feel no need to be forthright with their fellowman. I'm going to try amaranth (love lies bleeding) in the front yard. It is decorative enough to keep the neighbors from complaining. Most people won't know what it is which is a bonus. I'm going to try corn in the backyard. I only have 15' of yard. Hopefully it will get enough sun. Kellene, how long can I store brown rice/gourmet rice/Quinoa in jars that have been sealed with a food saver?? Could I store Quinoa in the #10 cans and how long could I store it for? (I realize I would not be able to sprout it if I seal it in cans or jars with oxygen packets or by food saver method, correct? Chances are when you have a question, it's likely to be addresses at least in part here on the blog. So encourage folks to check that first and foremost. In this case, your answer is right here http://www.preparednesspro.com/blog/ten-principles-of-preparedness-part-... You can also check out the article about the FoodSaver for tips too. May I highly recommended the book One Straw Revolution: An Introduction to Natural Farming by Masanobu Fukuoka. This man practically saved Japan from starvation by using the techniques described in this book. It makes raising rice and other foods super easy and actually feeds the soil not strip the nutrients. Also you can type in his name on You Tube and watch many videos about his farming methods. I, too, am interested in the shelf life of brown rice. I've been told that it does not store well due to the oils in the rice. I realize the nutrition is supposed to be higher with brown rice but I don't trust the info from someone who has not stored brown rice long-term successfully with no rancidity. Help! I need to add to my stockpile but need some good info on storage. Thanks for all your wonderful insights, knowledge and expertise. All of us would be struggling mightily without you, Kellene! As I shared earlier with Cheryl :-) "Chances are when you have a question, it's likely to be addresses at least in part here on the blog. So encourage folks to check that first and foremost. In this case, your answer is right here http://www.preparednesspro.com/blog/ten-principles-of-preparedness-part-... You can also check out the article about the FoodSaver for tips too." This is probably a silly question but I how do you pop your grains? This was a great article. One question - Do you have any suggestions on where to buy seed for planting the various grain crops you mentnioned? I have visited the Kusa Foundation in the past and they sell some grain but are limited in what they have on hand to sell. Thanks! Brown rice goes rancid pretty quickly (6 months) unless stored in the freezer. Rancid oils are not good for you. I've got 2 big bulk bags in the freezer, but that isn't going to last very long if needed. Ideas for storing it in quantity and still retaining freshness? (I already checked out past blog posts you've done to see if this was addressed before asking my question.) Thanks! I repeat, NO, brown rice does NOT go rancid quickly if stored properly. There's no need to take up space in your freezer to do it either. Without oxygen in a cool, dry place is sufficient to keep brown rice perfect for 5-10 years, easy. Diane, the link to storing brown rice properly is addressed in a previous post. Look at my answer to comments above to see the link and clarification. Thanks. 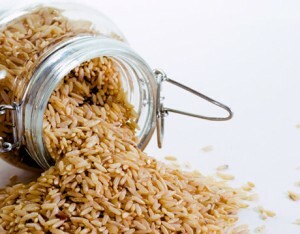 "The oil in the husk of the brown rice is a low density lipoprotein LDL and is subject to self-oxidation. Therefore, even in an inert atmosphere (pure CO2 or nitrogen) it will still degrade quickly, though a little slower. It will go rancid fairly quickly and therefore produce plenty of free radicals. Eating foods with lots of free radicals will suppress the immune system." "Brown rice is only expected to store for 6 months under average conditions. This is because of the essential fatty acids in brown rice. These oils quickly go rancid as they oxidize. It will store much longer if refrigerated. Stored in the absence of oxygen, brown rice will last longer than if it was stored in air. Stored in the absence of oxygen, brown rice will last longer than if it was stored in air. Plan on only 1 to 2 years if the temperature is kept cooler-50-60 degrees." Thank you so very much for your excellent blog! Diane, please know that internet articles do not constitute research. Experience does. "average conditions" "quickly" etc. are all very relative terms. This evening I consumed Western Family Brown Rice which had a "best if used by 13 June 02" stamped on it. I had been storing it in the original plastic bag it came in, in a bucket with other like bags, and some diatomaceous earth. I store my grains in a very cool room, with very little humidity, and is dark except for when I turn on the light. Again, experience, not attorneys, is the best kind of research. I always have at least several hundred pounds of brown rice on hand. We use it through the year and replenish that which we use but we don't come anywhere near close enough to using it within 1 to 2 years. Common sense and science proves that brown rice can go bad just as any other grain, such as wheat can if stored incorrectly OR if one purchases a poor quality. So long as the kernels stay in tact then they don't release the oils to the air which is what causes rancidity to set in. So long as you're not purchasing "old grains" to begin with you shouldn't have any problems either. I don't have to be right on this one, but I would loathe it if anyone hesitated to stock up on such a great grain simply because of misinformation. Thank you so much for your answer! And the service you provide to all of us! I purchased some triple ply paper-bagged wheat at my local LDS cannery less than 18 months ago. It's been in a cool dry dark place (original pkging). There are little bugs, longer than they are wide, less than a half cm long, in it- not a total infestation where I think I should toss the 25# bag, but enough that I don't like it. Do you have any suggestions to sorting them out of the wheat, or do I just Mylar bag them with some DE and call it good? I know people eat bugs every day... thanks. You've got a couple of options--since you can already see the infestation but don't want to waste the wheat, I would actually spread it out on a cookie sheet and sprinkle DE in it and work it through (be sure you wear gloves of some kind such as latex or plastic food handling gloves as the DE is a drying agent and will dry out your hands a bit). You could also set it out in the direct sunlight or in a solar oven, but you'll lose part of the nutritional content this way. I wouldn't wait to deal with this problem though. Typically weevil are not easily visible. They are found in ALL wheat regardless of how much you pay for it. Once you can see them, then they are way out of control. So I really wouldn't wait to deal with this. Otherwise, if it's not worth the work to you, I'd toast it a bit in the sun and then use it as chicken feed (or give it to someone else who has chickens). In the future, NEVER store your wheat in paper or plastic packaging like that. I would at least transfer it into a large plastic bucket with DE or cans or mylar bagging. Good luck. Thanks Kellene. I was in the process of moving them to 6-gallon Mylar bags when I came across some that were like this. I spread 6 cups out on one of the flat Mylar bags, and sorted thru it for a few minutes. I found 3-5 bugs in 6 cups. Somewhat tedious, but, whatever. I put DE in the cleaned wheat and sealed it in Mylar. I do have chickens, so if I find a bag that is too far gone, I'll give it to them. Thanks! !